Like any city, Vancouver has its myths and clichés. Being a lifelong resident of Lower Mainland, British Columbia these are as common to Kevin Lanthier as the North Shore Mountains or the #1 Highway. As a digital photo artist, the ability to extract and recompose subjects allows him to explore these ideas. So, while every element of his images can be found within the Greater Vancouver area (unless they’ve already become victims to the city’s ever-reconstructing nature), none will be found in the context in which you see them here. Lanthier takes a look at the derisively-named “Vancouver Special”, the only house style completely unique to Vancouver, and contrasts it with similarly mass-produced houses today, what must surely be seen as the “New Vancouver Specials”. 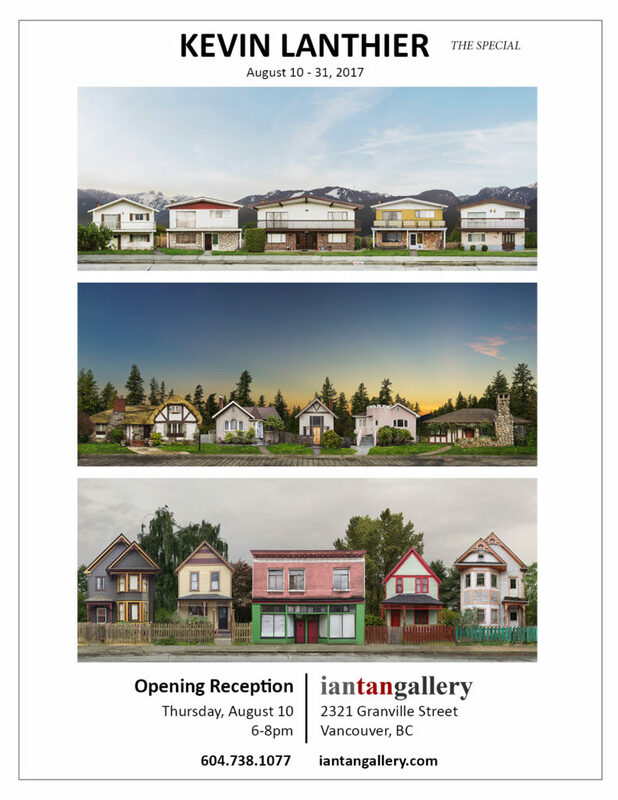 He compares the historic homes of the west side to those in East Van, to see how the conventional narrative of the West Side’s affluence and East Van’s working-class roots is seen in the architecture of their houses. And finally, he examines the themes of gentrification vs. preservation in specific areas and neighborhoods, always reflecting the politics (not to mention real estate market) of the day.